UPDATED on DJan 30, 2017. Arash Sadeghi, who had broken his prolonged hunger strike on January 3, 2017, again has started his hunger strike since the re-arrest of his wife Golrokh on Saturday morning, January 22, 2017, BCR Group has learned. The 30-year-old imprisoned activist was recently transferred to Ward 350 of Tehran notorious Evin prison, says HRANA. He, who has diagnosed with kidney and digestive failure due to a 71-day long hunger strike, was first taken to Ward 2-A of Sepah (the IRGC controlled section) with the excuse of transferring to hospital six days ago. Wardens transferred Arash to Ward 2-A at the same time resuming his hunger strike. The agents finally took him to Ward 350 after he endured three days in solidarity confinement cells, local sources quoting his relatives. News indicate that his personal belongings such as marriage ring and watch were supposedly stolen in transfer. Previously, Arash had started an indefinite hunger strike following arbitrary arrest of his life Golrokh on October 25, 2016. “I will continue my hunger strike until Iran’s authorities release her from the prison, HRANA quoted it form his letter. Finally, he ended his hunger strike after 71 days on January 3, after officials released his wife on a $125,000 USD. Despite official promises, on January 22, the Sarallah Base agents (IRGC's main security group in Tehran) rearrested Golrokh Ebrahimi Iraee in front of her house in the morning and took her to Executing Verdict Department where is located in Evin prison. She was arrested along with her friend Saeed Eghbali, according to reports. Agents ultimately transferred Golrokh to Women Ward of Evin and released Saeed on January 23, 2017. Hence, Arash is back on hunger strike because the authorities did not fulfilled their promises. He is currently kept at Ward 350 along with a few of political prisoners. The prisoners are deprived of making phone calls with their families, HRANA added. According to news, the peaceful human rights activist is still being denied medical treatment by authorities. Arash was repeatedly unable to breathe without a pulmotor system and his life reportedly at risk. “The senior specialist at hospital emphasized that Arash needs to be hospitalized for at least five days to receive medical treatment for his critical condition”, close sources to Arash told BCR Group once he was previously transferred to hospital. Early January, prison doctors had reported that the damage in Arash's right kidney is so severe that it will likely never return to normal functionality. The report said that 70% of his right kidney and 20% of his left kidney are already damaged. "Arash Sadeghi has not received adequate medical care. Iranian regime authorities are torturing Arash through medical neglect, "says Maryam Nayeb Yazdi, an Iranian activist, on her Twitter account. He is currently suffering from a low blood pressure, a lung infection, a severe cough, gastrointestinal bleeding and pneumonia, according to the medical reports. Human Rights organizations and many worldwide activists have come out in support of Arash Sadeghi and his legal demands. On December 30, 2016, Iranian citizens and activists around the world came together on Twitter to spread global awareness about his critical situation. Their efforts led to #SaveArash to become the top trending hashtag in the world and celebrities and Iranian parliament members to pay attention and speak up about Arash. However, international attention to Arash's case also led to the Iranian regime's media to launch a misinformation campaign against him and Golrokh. For example, the TV show 20:30, which is a propaganda arm of the Sarallah Base, shamelessly aired an episode attempting to smear the couple. Both of Arash and Golrokh are currently kept at Evin prison to serve their unjust sentences respectively 19 years in prison and 6 years imprisonment. Arash Sadeghi's last arrest was on June 7, 2016 and he has been held in Evin Prison since then. He is being held in Evin's Ward 8 amongst prisoners who are charged with serious offences such as robbery, embezzlement, fraud and forgery. Arash Sadeghi was sentenced to a 15-year prison term by branch 15 of Tehran's revolutionary court, presided by the corrupt Judge Salavati. In the same court hearing, Golrokh was sentenced to six years in prison. Arash had a previous four-year suspended imprisonment sentence in which Salavati activated in the court hearing, thus condemning Arash to a total of 19 years in prison. Both Arash and Golrokh were deprived of their right to a lawyer during the hearing. Prior to his 15-year prison sentence, Arash was sentenced to six years in prison, which was eventually reduced to one year in prison and four years of suspended imprisonment. The charges against him include: "Gathering and colluding against national security ", "Propaganda against the regime ", "Insulting the founder of the Islamic Republic of Iran ", and "Spreading false news in cyberspace ". Arash Sadeghi, a Masters of philosophy student who is barred from his education by the regime, was first arrested in July 2009. The nonviolent civil rights defender has been in and out of prison since then and has been severely tortured by his interrogators. Throughout these seven years of repeated imprisonment, Arash has launched several hunger strikes to protest against his unjust sentence and the unlawful behavior and actions of the Iranian regime's authorities. Despite the decline in his health, authorities have frequently prolonged Arash's imprisonment, kept him in solitary confinement for long durations, physically and psychologically abused him, and tortured him through depriving him of his right to adequate medical care. As a result of the physical tortures inflicted on Arash during interrogations, he has suffered a broken shoulder and broken ribs and still continues to suffer from these injuries today. Arash is in need of medical treatment for his injuries caused by the hunger strikes and tortures he endured. Arash has had an extremely painful experience in these seven years. Among the worst was arguably when his mother died during a violent house raid by Iranian regime authorities on October 30, 2010. According to close sources, Arash's mom died as a result of the shock of the raid. Golrokh Ebrahimi Iraee was nabbed at her house by IRGC forces early morning on October 24, 2016. The agents kicked down the door to her home and entered without an arrest warrant, according to her relatives. She was reportedly taken to Evin Prison and held in the women's ward. Golrokh is charged with "Insulting Islamic sanctities” (blasphemy) for an unpublished fictional story she had written in her journal about "stoning ", according to various confirmed sources. THEREFORE: We, the undersigned, demand that the international community bring all possible pressure to bear upon the Islamic Republic of Iran to honor its binding human rights by IMMEDIATELY and UNCONDITIONALLY releasing Arash and Golrokh from the prison, stopping their ILLEGAL arrest and dropping all equally ILLEGAL possible charges against them. 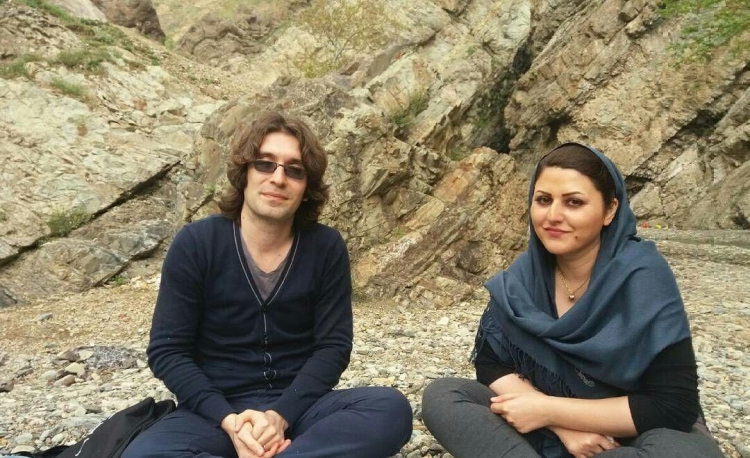 The Immediate & Unconditional Dismissal of Charges against Imprisoned Human Rights Activists, Arash Sadeghi and Golrokh Iraee! petition to Ban Ki-Moon , Ahmed Shaheed , EU Members , Zeid Al-Hussein , OHCHR , HRW , Amnesty Elena Valenciano was written by Kaveh Taheri and is in the category Human Rights at GoPetition.